As Mike put it in this the latest edition of Week in wearable, we've had reasons to be cheerful this week, and reasons to be less so. Fossil is on the up: Hooray!. Nokia potentially backing out of digital health: Oh no. Elsewhere we've been looking for love in VR, testing out the Fitbit Aria 2, learning more about Magic Leap, delving deeper into Apple's heart rate tech, considering the merits of smart underwear, and trying out some pretty incredible smartglasses for the blind. But what of the smaller stories and rumors from the week gone by? Read on, read on, read on. 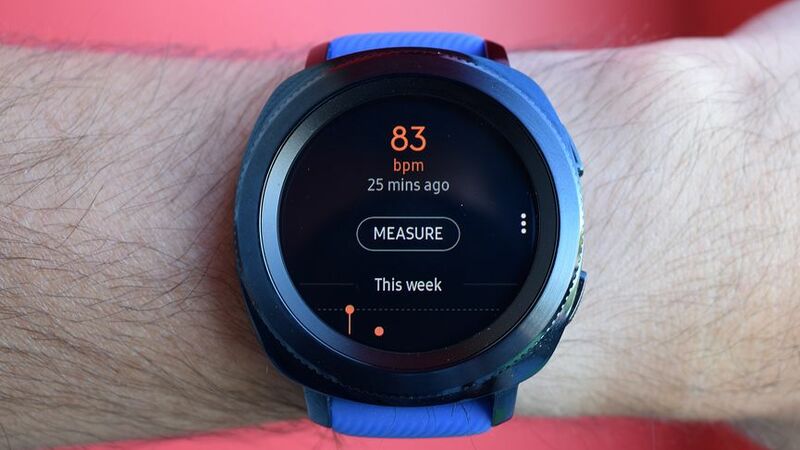 As we've explored, blood pressure tracking presents a big opportunity for wearable tech companies, and as of this week we now know (via Android Headlines) that it's something Samsung is interested in. According to a patent filed by the company, Samsung has created a method that uses light technology. In the patent it refers to a smartwatch called the Samsung Gear X, which looks very much like one of the older Samsung Galaxy Gear smartwatches, though we assume that this is just a placeholder design. Traditionally, taking a blood pressure reading requires a cuff to tighten around the arm. The most discreet way of doing this we've so far seen has been Omron's HeartGuide smartwatch, which is set to launch later this year, but still uses the inflatable cuff method. Interestingly, Valencell CEO Steve LaBoeuf recently told Wareable that the company has built its own unreleased blood pressure assessment technology which uses optical sensors. Indoor GPS tracking is difficult to do, as you need to be in line of sight of satellites to get a "lock". But a team at the University of Utah has found a way to track GPS, both inside and out, with an accuracy of around 5 meters. The technology doesn't actually need satellites to work. Instead the team used an intertial measurement unit (IMU), containing a gyroscope, magnetometer, and accelerometer. They then offset the errors often caused by these sensors, which create "drift" even when the subject is still, to maintain accuracy. The team presented the tech at the 2018 International Solid-State Circuits Conference in San Francisco, and plans to get the tech commercialized. Mark your calendars for 4 June, as it looks like that's when Apple will be holding its annual WWDC conference. Macrumors has done some sleuthing, and according to its sources Apple will be back at the McEnery Convention Center for the second year running. However other events are already booked there for second, third, and fourth weeks of June - leaving the first open for Apple. By the powers of deduction, the 4-8 of June seems likely, but nothing's a dead cert until Apple says the word. And why should you care? Because that's where we'll be seeing what Apple has in store for watchOS 5. These software updates are pretty big in and of themselves, but they occasionally also hint at what the next Apple Watch might have in store - Series 4 in this case. We also expect Apple to talk more about augmented reality, hopefully revealing new features for ARKit in iOS 12. Can you find love in VR?